Customized car insurance coverage options,discounts galore and amazing features. Explore individual health or family insurance plans. Multi Risk is a Toronto based insurance brokerage helping home and business owners get the right insurance coverage. We have a team of licensed and qualified insurance brokers providing a complete range of insurance and financial planning services. We are here to take care of all your insurance needs in Toronto, Mississauga, Brampton, Markham, Scarborough & Vaughan. Ours is the company that you can trust when it comes to meeting all your unique insurance needs. 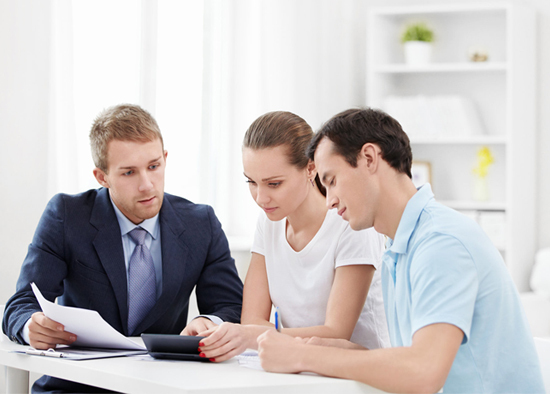 Our professionals understand that every client has his/her own specific insurance needs. That’s why, we customize our solutions to meet your unique needs. We run our company with a philosophy of service excellence and commitment to continuous improvement. Our insurance brokers are dedicated to helping you choose the best coverage to best suit your needs. Multi Risk is an independent brokerage and we aren’t collaborated with any particular insurance provider. So, we operate without any pressure of selling a particular product. We work for our customers not for the insurance company. We carefully evaluate the coverage needs of our clients and serve them accordingly. Our professionals will shop around on your behalf and negotiate the best terms possible. We bring you a wide range of options to choose from. I must say Multi Risk is a team of highly skilled and knowledgeable professionals. They are responsive, thorough and creative in advice. They helped me choose the best commercial property insurance. I am really grateful for their help. Multi Risk Insurance Brokers Inc is the best financial planning service I have ever come across. They take care of all your requirements efficiently. I highly recommend them. We provide our clients with tailor made car insurance coverage options, discount galore and amazing features. Call us today to discuss your needs. Your condo is one of your biggest investments and you want to protect it every way possible. We help you select the right kind of condo insurance. A comprehensive home insurance, is essential to ensure the security of your home and its, belongings against natural calamities like earthquakes and floods. Tenant insurance can help you pay to replace stolen or damaged belongings as well as provide liability protection. Want to know how much Super Visa insurance would cost? Just make a call to us and we will get you the best options. At Multi Risk, we educate you about different types of life insurance policies to protect you and your loved ones. Call to know the best plans.